If director Niki Caro gets her way, Disney's latest live-action adaptation of a classic animated movie will be a bit different from recent outings. In a new interview, the filmmaker confirmed that Mulan won't be a musical Ala this weekend's Beauty and the Beast. Instead, it will be a very girly martial arts adventure the likes of which the RZA would be very proud. Mulan will hit theaters November, 2018. And when it does, it promises to deliver quite a punch. Literally. Niki Caro, best known for her family masterpiece Whale Rider, has some big ideas when it comes to resurrecting the fairy tale Mulan for the big screen. We already know that the cast will be all-asian, as to avoid any whitewash controversy that might come with it. And now we know the movie will be a kid-friendly version of Kill Bill. She says this in a new interview with ScreenCrush courtesy of Entertainment Weekly. "I haven't started yet so I can't give you any real detail. 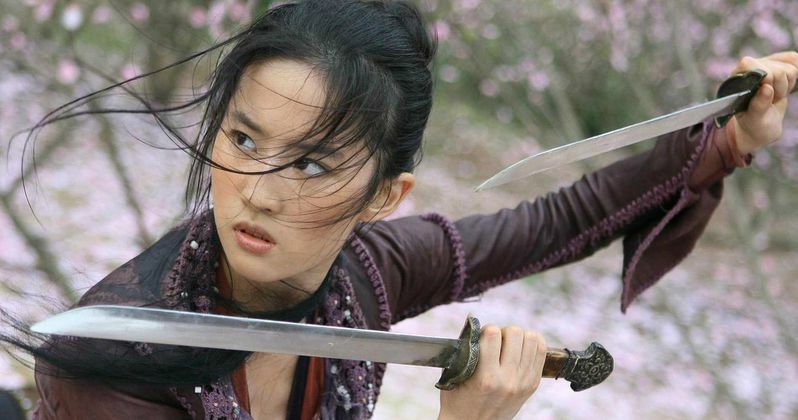 But the budget and the location and the story [are] offering such scope to me for [an] incredible, muscular piece of girly martial arts extravaganza in China. And I can't wait." Niki Caro isn't going to be resting in a director's chair when it comes to calling the shots on set, either. She is going to prepare for the movie by learning a little kung fu herself. She says this. "I've got my little girl, she's 9. We're going to start learning mixed martial arts in preparation." When Mulan was first announced, it wasn't revealed if this would be a full-blown musical, as what audiences are seeing with Beauty and the Beast this weekend. Or if it would be more like the Jungle Book, which had just a few songs sprinkled in here and there. According to Caro, this won't have any songs at all. At least that's the plan at the moment. The two most well-known songs from Disney's original animated Mulan are 'Reflection' and 'I'll Make a Man Out of You'. But those may not fit the tone Niki Caro is looking for. The movie follows a Disney Princess who is slightly different from what has come before. The young woman must disguise herself as a man to take her dad's place in the army. Mulan is the kind of princess that would rather swing a sword then party down in an evening gown. Crouching Tiger, Hidden Dragon's Bill Kong is executive producing Mulan, so you can expect some similarities there. Elizabeth Martin and Lauren Hynek wrote the initial script, which has been rewritten by Rick Jaffa and Amanda Silver. Jason Reed, Chris Bender, and Jake Weiner are producing.